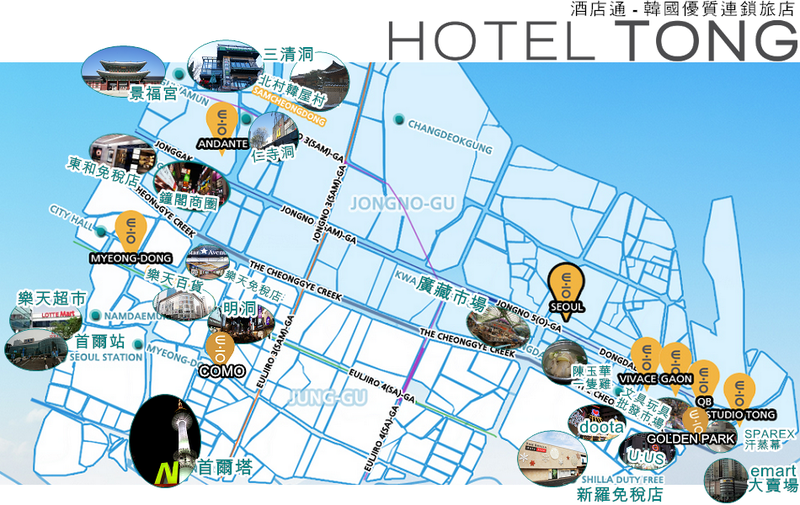 The way to HOTEL TONG Yeongdong?? 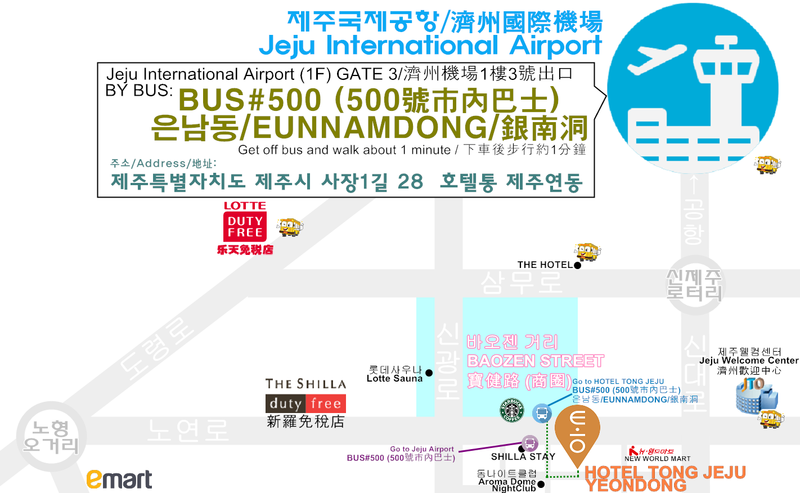 Go out of Jeju International Airport from Gate 3. Go cross the road after getting off the bus. Turn left and further down the lane which is between Olleh and Mountia. 기사님, "호텔 통 연동(제주시)" 으로 부탁드립니다.